How to take HempWorx CBD Oil and serving size for humans and pets. 500mg and 750mg strengths are available. Buy at wholesale prices and save! 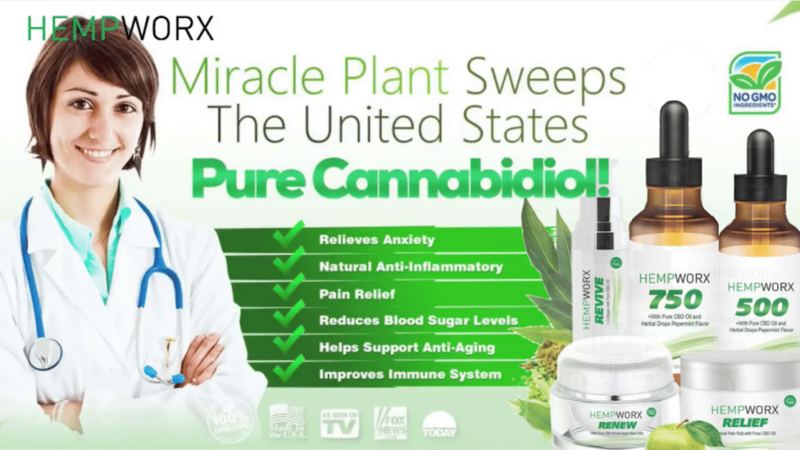 Hemp Worx has four main products in the hempWorx line. The drops are by far the most concentrated form of CBD because you are getting it sublingually (under the tongue). There’s a 98% absorption rate with the Herbal Hemp drops because the CBD gets absorbed directly into the bloodstream. We also have a Pain Relief Rub for external application to the body. However, if you are looking for the best skin care products on the planet, we recommend our CBD Skin Care line. This will be a different amount for everyone. Our most common serving size is 20 drops twice a day but we generally recommend exploring to see what works for you. Many will start out with 1/3 – 1/2 of a dropper (5-10 drops a day) and work their way up to a full dropper twice a day. 📍 Note: you may take CBD Oil throughout the day in small servings. Example: 5-10 drops in the morning, 5-10 drops around lunch, 5-10 drops in the evening. Breaking it up throughout the day when you feel pain, anxiety etc. can help. Most people do great with the 500 and will never need the 750. I recommend trying the 500 first to see how it works for you! What is CBD Hemp Oil? What are the possible health benefits? Each full dropper (1 ml) contains 10-15mg of CBD and you can control your serving size by squeezing the right amount into the dropper. This info is purely a guideline and does not replace your medication or doctor prescriptions. The information contained in merely a starting point or reference. The fact remains that everyone is different and will react different to their CBD serving. As serving size of CBD is differnt for everyone, it is best to start small and gradually increase until you experience the desired result. Place drops under the tongue. Place drops under the tongue. We recommend that you start slowly and gradually increase you serving size over a 3-4 week period. Start with 5 drops (1/4 of a dropper) twice a day for the first week. On week 2-3, go up to 10 drops twice a day. By week 4, you can go up to 20 drops (full dropper) twice a day to get the full 20-30mg of CBD daily. Experiment a little, see what works for you. We also recommend that you consult you local doctor or physician for serving size recommendations. Place drops under the tongue for best results. You can place drops directly in mouth or add to your pet’s water or food. Legal disclaimer: There are no approved clinical studies to validate these recommendations. This information is based on independent testimonies of CBD oil users. 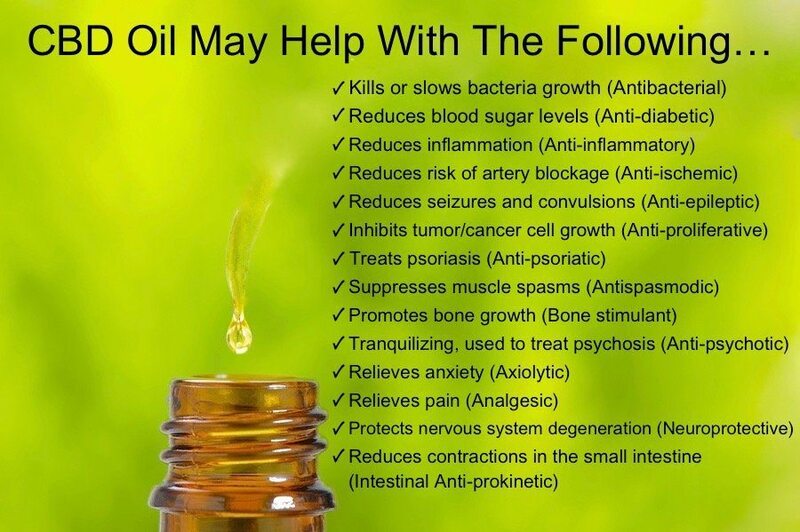 A basic CBD oil serving works excellent for general health. But for those who have severe conditions, the best serving size can provide an entire brand-new lease on your health. CBD (cannabidiol) is a plant compound found in hemp. Through various extraction techniques, CBD is sourced from hemp plants and stalks to develop an oil that uses tremendous health benefits. When consumed, CBD acts on the body’s endocannabinoid system (ECS) to promote homeostasis. 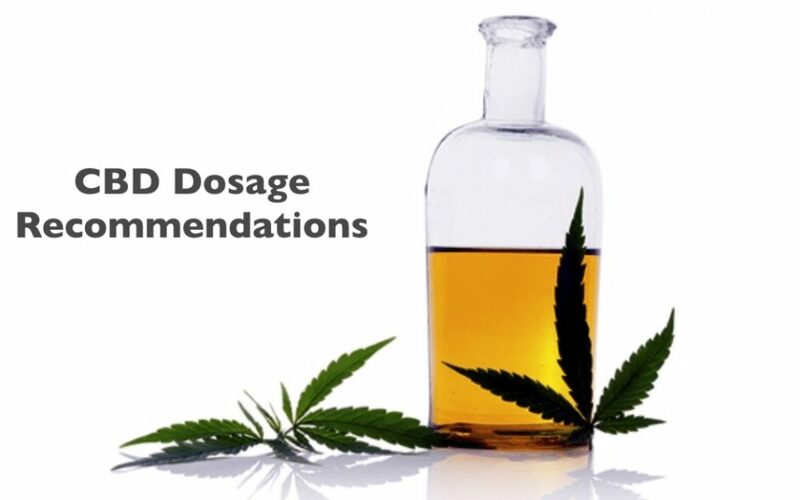 Regularly taking the base recommended serving of CBD (we suggest 4 drops, 3 times day with our Superior CBD, for an overall of 1 ml) uses overall well-being to balance the nerve system, promote psychological clearness, assistance healthy inflammation reaction, and provide advanced antioxidant support. For those with particular health ailments, an increased CBD oil serving is needed to supply relief. Inning accordance with CannLabs, the country’s leading full-service testing lab for cannabis products, there is no recognized lethal CBD amount. With cancer rates growing, so are the risks of chemotherapy. For clients who use chemo “treatment” as a method to combat cancer, a lost of appetite is a typical adverse effects. This originates from chemo damaging cells and DNA, triggering nausea, extreme vomiting, low energy, and the ECS to reduce appetite. CBD promotes appetite and gives cancer patients a desire to indulge in food, promoting appropriate nourishment and increasing the patient’s arsenal to fight illness. More than 100 million Americans struggle with persistent discomfort, all start for various reasons. Discomfort can manifest in joints, muscles, organs, body cavities, bones, and ligaments; sometimes set off by diseases such as Crohn’s, ulcerative colitis, Lyme disease, several sclerosis, and fibromyalgia. Persistent illness can be crippling and the associated pain can leave clients immobilized and unable to function when flare-ups happen. Research study shows that CBD can support healthy joint, muscle, and organ function and bring discomfort relief. By acting upon the ECS, CBD effects nociceptive paths to significantly reduce swelling– a leading reason for illness and chronic pain– and prevent pain. Optimum CBD Oil Serving: Sublingual ingestion of 2.5-20 mg CBD for an average of 25 days. Benefits are cumulative. Seizures decreased by approximately 54 percent in 137 individuals who completed 12 weeks on Epidiolex. In 27 patients with atonic seizures (which are frequently seen in individuals with Lennox-Gastaut Syndrome (LGS) along with other types of epilepsy), the atonic seizures reduced by 66.7 percent usually. Optimum CBD Oil Serving: Sublingual intake of 200-300 mg of CBD daily for up to 4 1/2 months. Huntington’s disease is an acquired central nervous system condition that triggers a degeneration of nerve cells in the brain. Poor coordination, minimal function capabilities, and jerky, random, and uncontrollable motions prevail symptoms. Through acting on CB1 and CB2 receptors, CBD slows the progression of neurodegeneration in Huntington’s illness. This is achieved by restricting toxicity in microglial cells and suppressing inflammation to promote therapeutic relief in joints and muscles. This alleviates hyper-kinetic signs and works as a neuroprotector in degenerative diseases like Huntington’s illness. Americans balance 6.9 hours a sleep every night. Combine that with a failure to nap throughout the daytime due to work, long commutes, consistent blue lights from when we wake until we drop off to sleep with our phones in our hands, and we’re leaning towards a health catastrophe. Sleep disorders vary from sleeping disorders– 70 million victims in the US alone, narcolepsy, obstructive sleep apnea, and postponed sleep stage syndrome. Research reveals CBD to be efficient in treating sleep associated concerns. A 2015 study showed CBD’s capability to lower headaches in military workers suffering from PTSD. CBD’s capability to act upon the ECS might allow it to work with the body’s biological rhythm also. Likewise, one research study showed that when CBD was taken in with the lights on, it effectively increased alertness– well needed to eliminate signs of sleep deprivation. Another research study in 2013 revealed that CBD had the ability to increase overall sleep time in adult male rats during the night time. Several Sclerosis is a neurodegenerative autoimmune disease that affects the brain, spinal cord, and optic nerve. This causes all sorts of health problems consisting of vision loss, persistent pain, fatigue, and impaired coordination. Compounds like non-psychoactive CBD shut down the immune system, stopping the violent attack on the main nerve system. When the body immune system is calmed down, it not attacks your main nerve system. Optimum CBD Oil Serving: Cannabis plant extracts consisting of 2.5-120 mg of a THC-CBD combination by mouth daily for 2-15 weeks. An oral spray might contain 2.7 mg of THC and 2.5 mg of CBD at a serving size of 2.5-120 mg for as much as eight weeks. Clients normally use eight sprays within any 3 hours, with a maximum of 48 sprays in any 24-hour duration. Schizophrenia is an extreme mental disorder that hinders clear thinking, communication, and the expression of emotion. Research suggests CBD uses anti-psychotic effects since it triggers the CB2 receptors of the ECS. This helps modulate the body’s body immune system, lowering and significantly reducing psychotic symptoms. Glaucoma occurs when fluid accumulation in the front of the eye, increasing eye pressure and harming the optic nerve. Over three million Americans have glaucoma, with only HALF aware of their condition. A 2003 study recommends the neuroprotection CBD offers decreases the strength of peroxynitrite– an ion that can damage molecules in cells, consisting of DNA, and proteins and an agent that causes glaucoma. Ideal CBD Oil Serving: Sublingual ingestion of a single servings of 20-40 mg under the tongue. Serving size higher than 40 mg may actually increase eye pressure. Consumers must check out item inserts thoroughly to ensure they are taking the right amount of CBD, and talk to the prescribing doctor about any concerns or issues. How is cbd oil on diabetic foot pain. Many people with nerve pain are using this for nerve pain and chronic pain and seeing great results!